Trying to learn, do they make a Mag that is a double stack single feed for a long action(7Rem mag), I'm in the middle of a build (7Rem Mag-R700) and would prefer a mag that doesn't extend a couple inches past the trigger guard. Im building a custom rifle. Using Stiller Tac300 action barreled in 7mm Mag. This is going on an AX Chassis. Is the AICS mags the one i need for the AX? glad i finally found out which size mag i need. Here is a list of the various manufacturers of Detachable Bottom Metal that accept the AICS/AW magazines in this thread. I’ve also provided links to their web sites as of March 2012. If I have forgotten a manufacturer, please chime in. Please note, I do not currently own any of these systems and have just been researching them for my own info, but figured this might help other people as well. I’ve listed them alphabetically. I was also wondering about compatibility of 223 mags in a 308 AICS. I am making a switch barrel rifle to shoot 6BR as well as any 308 based cartridges and if I can use the 223 mags in the 308 chassis I can modify some mags to feed from with the 6BR barrel instead of single loading. I was wondering if anyone on this thread has the specs for the AICS mags for 338LM and the 338 CIP? I am trying to find out the COAL for the 338LM and the 338 CIP mag. Also if the CIP mag is dimensionally different from the 338LM mag other than COAL capacity - such as if it is the same width and is the magazine catch tab in the same location... Any help would be appreciated. <div class="ubbcode-block"><div class="ubbcode-header">Originally Posted By: Stacey B</div><div class="ubbcode-body">We have lots of OEM partners such as APA, Badger Ordnance, CDI Precision, Hooper Law Enforcement Supply, IBA, MAK, McCree, PCD Custom, Seekins, Surgeon, Underground Skunkworks and Zel Customs to name most of the bottom metal/chassis manufactures only, which use the Accuracy International magazine line. This is some good information. Thanks for sharing! Which of these companies bottom metals are compatible with AI and AW with the right modifications? Great help for newbies like me. Looking for more posts like this one. Did someone machined the AI AWM to use the AX338 magazine? I read through all 5 pages and didnt seen any mention of 300 blackout. Sorry if it was mentioned and I missed it but can the 223 mag be used for 300 blackout? Yes, there was a mention of the 223 mag and the 300 whisper. The blackout is more or less the same thing for mag use. My question is about the AW mag and ackley calibers. I read in another thread that the double stack AW mag most likely won't work with an ackley caliber. Is that correct? How about a caliber with slightly more shoulder angle than the standard .308 case? For example, what about the .284 winchester at 35 degrees, which is more than the 20 degrees of the .308 but less than most ackleys at 40 degrees? As I am building a Budget rifle off a Savage Stevens 200 in .308, this cleared up a few questions and helped understand what bottom metal will fit what mags! I bought a pierce action it has a badger bm will the aics mags work in it? Any one that have some pics of the .300wm magazine in 5rds and 10rds? Maybe a pic where they are insert into the rifle? Now I understand. Picture is worth a thousand words. What is the point of having the plate welded in the 5 and 10 round SA AI mags? I just drilled both of mine out to seat my .260 longer. Just looking for some clarification. A little JB Weld some sand paper and a pain job and they are like new. 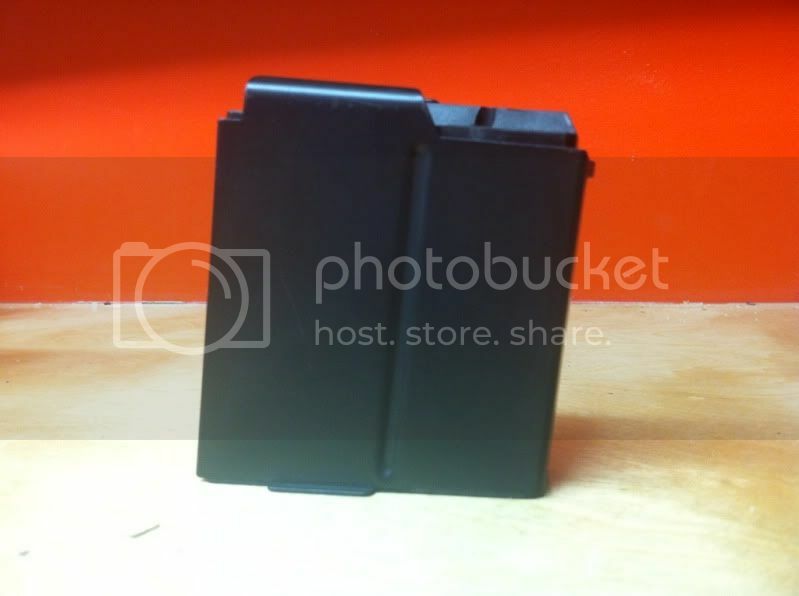 Just wondering if someone has the external dimensions for the AE Mk1 Magazines?I've been right though this topic (and the net) and only been able to determine that internally they will allow a Max OAL of 2.925". I had tried PM'ing ROLEXrifleman, to see if he could measure his AE that was featured in the original post - but his inbox is full. So if anyone is able to help me out with the external dimension of the mag or even the internal dimensions of the Mag-well in the rifle itself, I'd really appreciate it and it would allow me to get on with my project. Rolex, fantastic post! I love the attention to detail, information, and just flat out good nature that those on this site have. I hope one day to be as helpful as those that have helped me. Dont forget Alpha Industries Magazines!! Amazing fit and finish! This should be the last post about the diffrences between AI mags. Well there is yet another kink here that I need to add. The AICS M24 stock. This is a drop-in modification for the Remington M24 Sniper Rifle. It utilizes the AICS Long Action Chassis but uses the AICS Short Action Magazines. 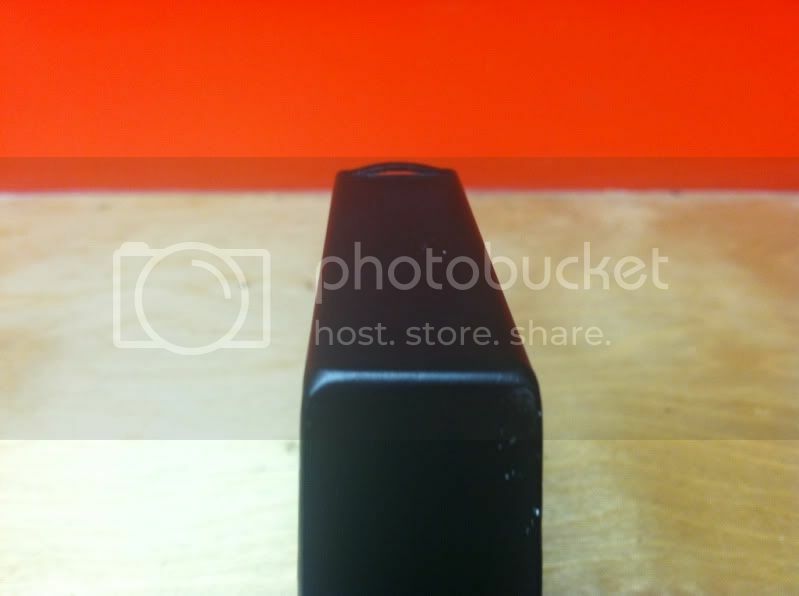 Notice how the aluminum chassis moves the mag release button forward and fills the void in the long action stock. At the time, novemebr of 2007, when this thread was started it was the most comprehensive thread out there about AI mags. And thanks to the help of other members, including yourself, continues to do so. Thank you to all those who along the years have contributed to this thread and thank you to those who have expressed apprciation toward me in teh creation of it. It truely was and continues to be my goal to help my fellow shooters in any way possible as many have helped me along the way over the years. May the spirit of the season be with all of you. Stay safe! Can we also get an update on differences between regular AICS mags and the AX version? No need to it's all there on the first page. MKIII aics mag. AE MKIII rifle is the same as the AE MKII. Exept it has a AW type safty. I've read the entire thread and it's very informative. I miss a little bit of information though. I need to know the outer dimensions of the following magazines. I'd be very thankful if someone could help me with this. Question... Is there a mag offered by AI to accommodate short magnums or will I have to bend feed lips on my .308 AIAW Mags? The AX.338 doublestack magazine allows for a longer coal (95mm) than the old AW.338 singlestack magazine (92mm), right? Any one can help me get the OAL for AX 308 mag ? Alpha makes magazines that are set up for short magnums. They hold 7 rounds instead of 10, because of the fatter case. 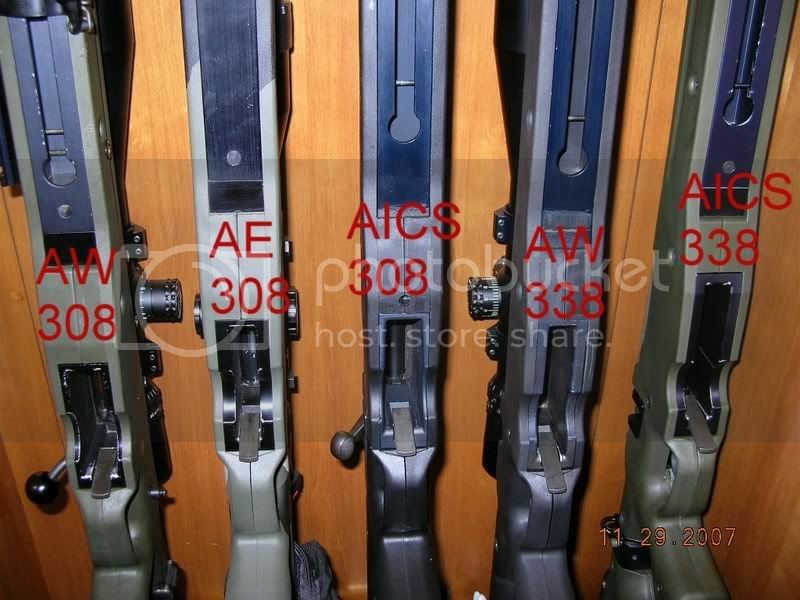 looking at the AX (aics ) for remington.they seem to have there own mag?? from the old aics one?? help, do i need two lots of mags now. Anyone know if the ruger scout rifle mags will work with an AE? According to AI. The Legacy ( Thumb hole stock type ) mag will fit in a AX AICS....BUT, it will not be as secure in the AX. Your best bet would be to get the AX AICS type magazine to avoid any problems. Yes and no. Dimensions on the Ruger mag are a few thou smaller in width and breadth, don't ask me for the exact measurements, I can't remember them, and I got rid of the Ruger mag awhile back. It will click in, but the fit is a bit on the sloppy side. You could have feeding issues and extraction problems. Thanks for the details... just the ruger mags are $60 here but AI mags are $120. Just wondering if a few of the ruger mags would be ok to bulk up my mag supply for range work. Just so I am clear, an action set up to run both AICS and AW mags, (defiance,stiller,ect) with any of the bottom metals listed on this page (post #203) would be able to use both types of mags interchangeably? I am getting ready to build another rifle and want the use the same bottom metal as on my last rifle and use the same type magazines for interchangeability of parts. Where is the best place to start looking? Or has something new come along that will allow me to use the same magazines? I have been scouring the interweb for the ai/aw mags, but they are no where to been found. 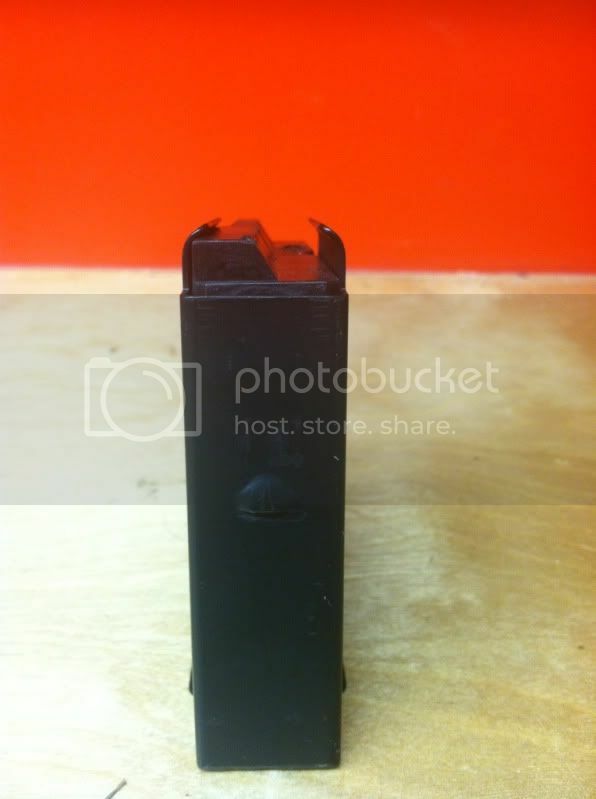 COAL for the AX 308 rifle mag is 2.978"
Here are a few pics of the AX 308 mag. I appears to be of the same nature of the AW mag except with a lip on the front to hook into the action. I'm interested in an answer to this question as well. Wow didn't know there was such a difference in the AI 308 mags. Guess I lucked out on buying the right ones. Yes, its a CIP length mag. I got a question i didnt see anywhere else in this thread. I have saw that AW double stack wont feed Rem but what about a older Savage 12FVSS .308 that came stagger feed that now has a Mcree G5 TMAG Chassis will it load the AW double stack? I just got my older savage back from CDI precision. Works well with AW and AICS mags. This is the 4.275 inch action (stagger) feed action. I sent them (CDI) an AW mag with the rifle and asked them to fit the AW mag, then try the AICS. Works slick!